Jonathan Oberlander is professor and chair of Social Medicine and professor of Health Policy & Management at the University of North Carolina-Chapel Hill. He also holds an adjunct appointment in the Department of Political Science. His research and teaching interests include health care politics and policy, health care reform, Medicare, and American politics and public policy. 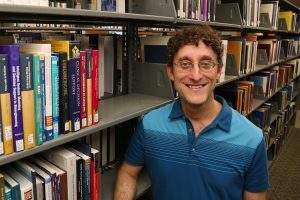 Dr. Oberlander is author of The Political Life of Medicare (University of Chicago Press) and co-editor of the 2-volume series The Social Medicine Reader, 3rd edition, (Volume I, Ethics and Cultures of Biomedicine and Volume II, Differences and Inequalities, 2019, Duke University Press). His recent work explores ongoing political fights over and implementation of the Affordable Care Act, health care cost control, Medicare reform, and the fate of the Children’s Health Insurance Program and Independent Payment Advisory Board. In the School of Medicine, Dr. Oberlander teaches health care policy to medical students. In the Department of Health Policy & Management in the Gillings School of Global Public Health, he teaches courses on health care reform to Master’s, Ph.D., and DrPH students. Oberlander speaks regularly to community groups, medical professionals, and non-academic audiences on health care reform, the Affordable Care Act, and Medicare, trying to translate the complexity and technical detail of health policy into something more understandable and accessible. He has commented on health care politics for a number of media outlets, including the New York Times, Washington Post, Wall Street Journal, Los Angeles Times, the New York Review of Books, National Public Radio, the BBC, the Australian Broadcasting Company, Politico, CBS News, and PBS. Oberlander holds a Ph.D. and M.A. in political science from Yale University, and a B.A. in political science from the University of North Carolina-Chapel Hill.